With the launch of several new domestic vehicles such as the Chevy Cruze (pictured), automakers are expected to increase U.S. production by 37 percent this year vs. 2009. LOS ANGELES -- Retail sales of new vehicles in October are expected to be the year's strongest as U.S. consumers avoid a midmonth buying lull, J.D. Power and Associates said today. The forecasting firm expects sales to individual customers to reach 756,300 vehicles in October. The total, which excludes sales to daily rental and other fleets, would translate to a seasonally adjusted annualized rate by that measure of 10.2 million vehicles. The previous high was September's 9.5 million. “Unlike July, August and September, which experienced some midmonth weakness, October's robust sales pace has continued through the second week,” Jeff Schuster, , J.D. Power's executive director of global forecasting, said in a statement. J.D. Power expects total light-vehicle sales to rise 14 percent from October 2009, with fleet sales accounting for 18 percent of the total. “Despite the drag from high unemployment and lower incentive levels, improvement in the automotive market continues in October, suggesting that consumers are discounting the negative sentiment,” Schuster said. Still, J.D. Power lowered its full-year sales outlook for 2010 and 2011 as the pace of economic improvement has fallen short of expectations. The firm now expects full-year 2010 retail sales to total 9.1 million units, down from 9.2 million projected earlier. Total sales, including to fleets, are expected to total 11.5 million units, down from its prior estimate of 11.6 million. The nation's gross domestic product in 2011 is expected only to match this year's growth rate of about 2.5 percent, J.D. Power said. As a result, the firm has trimmed its 2011 forecast for total vehicle sales to 12.9 million from 13.2 million. Its 2011 retail sales forecast also was lowered to 10.5 million units from 10.7 million units. J.D. 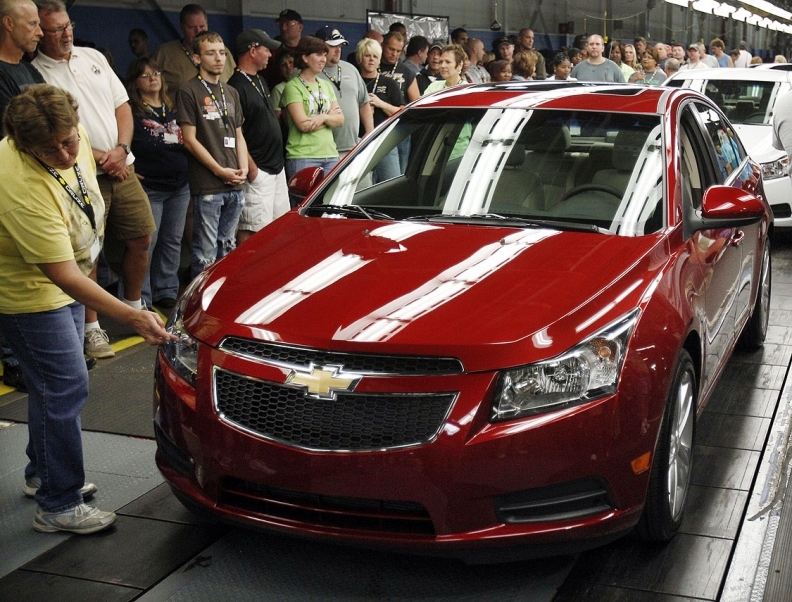 Power expects North American vehicle production in 2010 to show a 37 percent gain from 2009. Automakers are expected to build 11.7 million vehicles by the end of 2010, compared with 8.5 million units in 2009, according to J.D. Power figures. This year's nine-month total surpassed last year's 12-month mark. Extended production shutdowns were widespread last year as the industry battled the weakest demand in 27 years. General Motors and Chrysler plants went dark for months as part of the automakers' bankruptcy reorganizations. J.D. Power expects production in North America to grow by 1 million units to 12.7 million in 2011. Production in the fourth quarter is expected to increase to 2.8 million units, compared with 2.7 million units in the same period last year, J.D. Power said. Schuster said the increase will be fueled by either the start or continued ramp-up of production for such vehicles as the Chevrolet Cruze, Ford Explorer and Focus, and Dodge Durango and Challenger.